35 Years in Dobermans, inherited the love of the breed from her mother, Michelle Santana is dedicated to the future of her favorite breed. 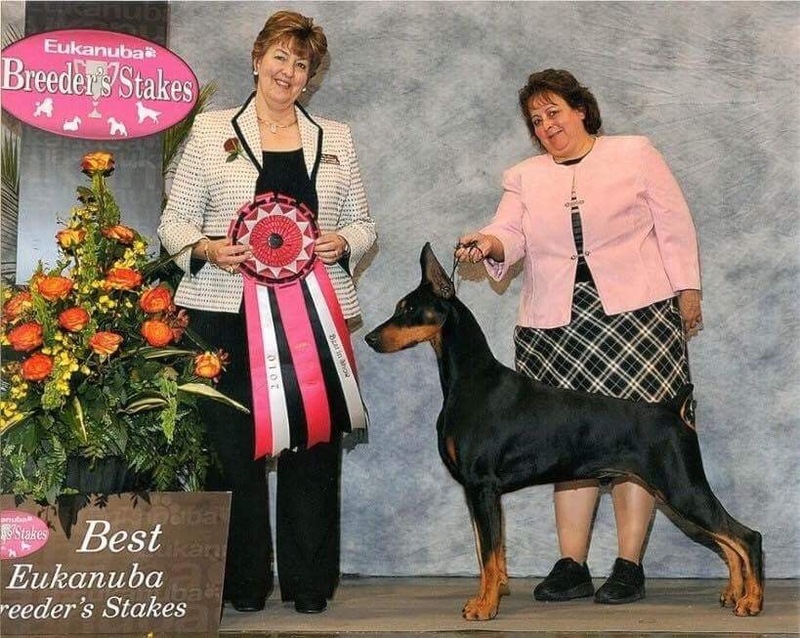 Michelle and her Foxfire Dobermans have been honored with the AKC Working Group Breeder of the Year Award and a Dogs in Review "Winkie" for Breeder of the Year. Bill Shelton is considered by Michelle to be a strong influence and mentor for her as an owner-handler, breeder, and exhibitor. She mirrored his handling style, and listened as he spoke of purposefully bred dogs or breeding for preservation of consistent and reliable traits, type and temperament. Dobermans are a silhouette with the cropped ears, docked tail, strength and angles that cause pause to an intruder. Historically a personal protection dog, the upright ear and short tail made it difficult for a perpetrator to grab or defend against the Doberman. Juniors are the key to the sport and Michelle encourages experience Breeders to support them. Give them a GREAT DOG to compete with, teach them how to BREED, pay for a junior to compete in the bigger competitions. Be a Mentor to your puppy buyers. Let them know that you are available and the FIRST resource. Encourage them to compete in dog sports, have fun in barn hunt or even consider showing. Mentor a future breeder. Take it upon yourself to teach one or two people so the knowledge is passed down. Breeding is hard work. We need others willing to carry our breeds forward. John Q. Public Needs YOU! OMG! Yes. Mentors in the breeds need to be the educated voice in the public Facebook groups, so answers to questions don't come from the people who don't. Teach the public. Be the VOICE that they hear. Shout Out to John Engstrom - You Asked! Listener John Engstrom wrote and asked for a Michelle Santana interview - and Pure Dog Talk listened! Thank You #PureDogTalk for the honor of the interview!! Although I had total butterflies ??? I’m glad I participated!! Education is CRUCIAL. Mentoring is desperately needed. 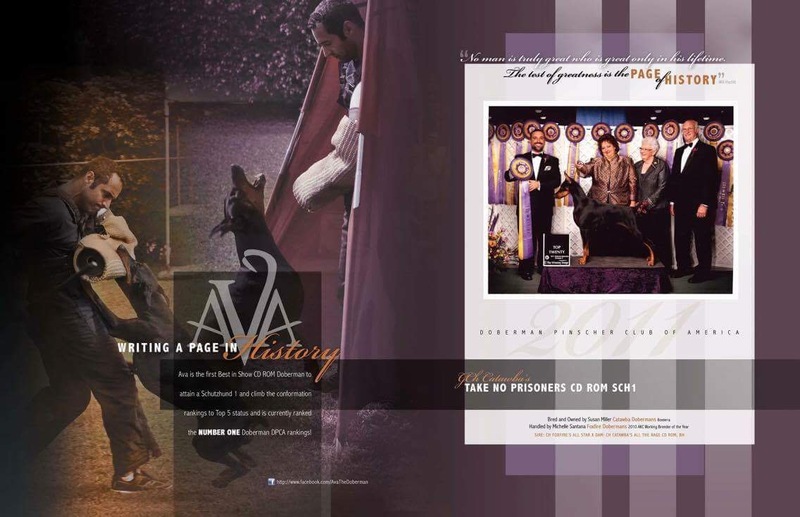 Honesty between breeders -transparency-and working together to assist the breed instead of secrecy and breeding to the Popular sire for the ribbons and ego is what is needed today. I’ve been in this breed for 35 years and remember Michelle and Janrics zerline V Davanti (sic?). She had tremendous success and a mom to always back her up- I’ve watched her over the years and sincerely happy for her success today. She has a well oiled machine behind her and many learn from her today. BUT WE NEED TO EDUCATE JQP on so much more. 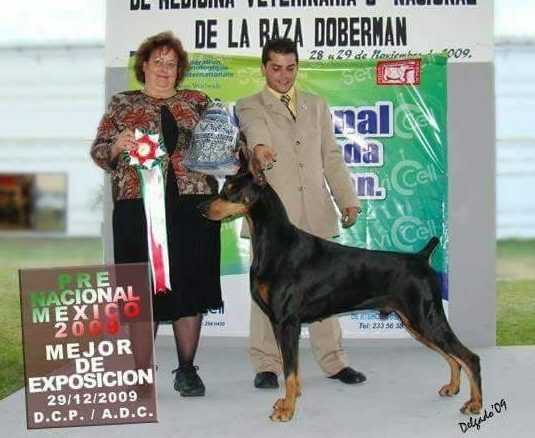 Michele, you have come a long way and I applaud your success in breeding and support of the wonderful Doberman. The one shown here is an exquisite sample of the breed. Michelle Santana is truly passionate and dedicated to her breeding program. She loves her dogs and is always there to help her puppy people. She is never too busy to stop and talk to a stranger who has questions about the breed. Michelle and her dogs are great advocates of the Doberman breed. and an inspiration to others. If you want to talk about a breeder with consistency….Michelle is it. The first pup we obtained in the mid 80’s is basically the same dog I am owned by as of two years ago. I am Foxfire forever as I know exactly what is coming. Temperament, beauty and my best friend.